POST-EXPO Latin America creates an excellent opportunity for international companies to present their latest technologies within an event that by nature is technology and applications focused. POST-EXPO Latin America will showcase all the latest innovations, technology and services available for postal, parcel and courier operators in the region. The exhibition will provide a perfect networking environment for companies who see the development of new business opportunities in Latin America as strategically important. POST-EXPO Latin America will be the most comprehensive display of technology and services available to postal operators in the region. 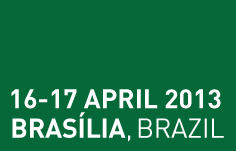 We have an exhibition area for up to 60 companies to exhibit their latest products at the Centro de Eventos e Convenções Brasil 21 in Brasilia. The exhibition hall is located next to the conference rooms.